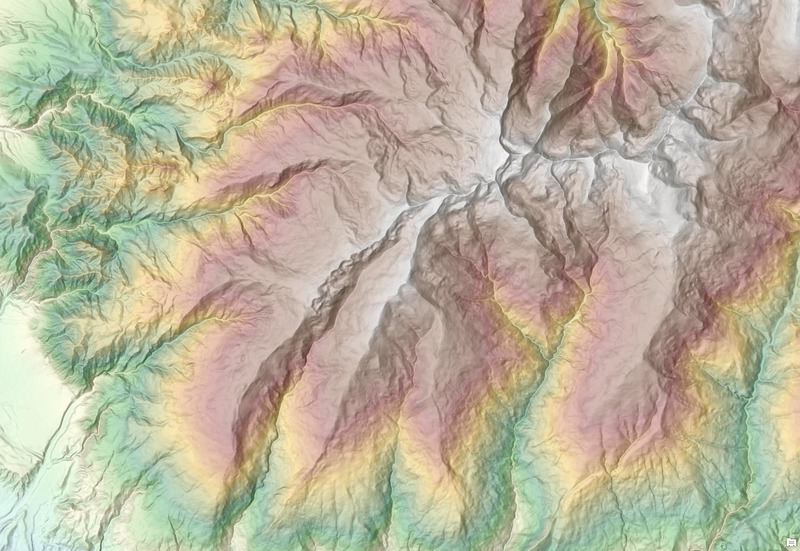 We are excited to integrate Spain’s lidar derived elevation from Instituto Geográfico Nacional (IGN) into Esri’s World Elevation services (Terrain and TopoBathy). At 5 meters resolution (cell size), this update brings 6 times more details to Spain and a huge quality improvement over SRTM 1 arc sec (~30 m). Here are a few areas that exemplify improvements in Spain. 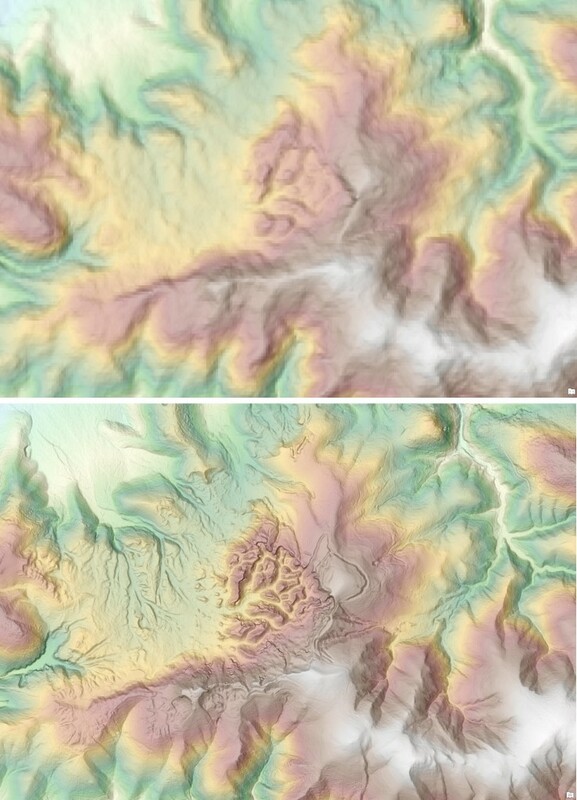 Las Médulas – a unique landscape and the largest open-air gold mine in the entire Roman Empire (a UNESCO World Heritage site) is depicted with incredible details using 5m lidar derived relief (bottom) over SRTM 30m (top). 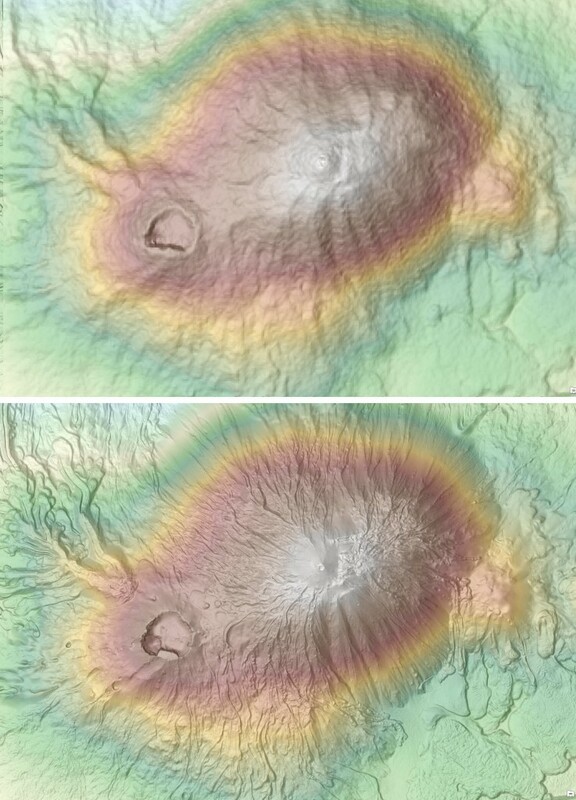 Teide-Pico Viejo stratovolcano, at 3,718 m, the highest peak in Spain located in Teide National Park, Canary Islands (a UNESCO World Heritage site), shows improvements using 5m lidar derived relief (bottom) over SRTM 30m (top). Let’s explore some of the unique landscapes of Spain using lidar derived high resolution elevation data. 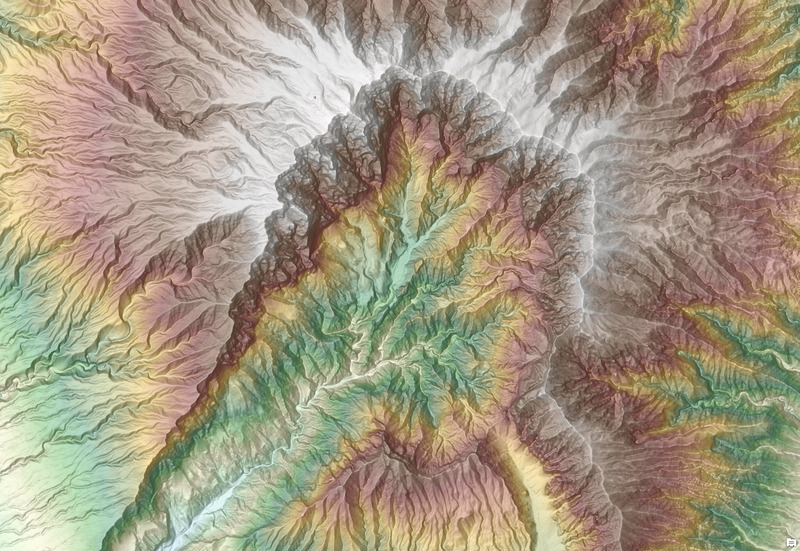 The world elevation image services (Terrain and TopoBathy) provide online access to a global collection of multi-resolution and multisource elevation data to use for visualization (such as multi-directional hillshade, tinted hillshade) and analysis. In ArcGIS Desktop, a temporary layer can be generated using the Make Image Server Layer tool and used as an input in other GP tools to perform analysis. The parameters such as the extent, cell size, query and output coordinate system can be defined using the Make Image Server Layer tool to produce the output layer. 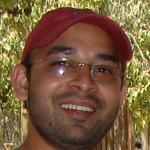 A query will select a subset of items within the image service. thus restricting the analysis to a particular data source available in these services. For example, a definition query of “ProductName” = ‘Spain_DTM5m’ will filter data pertaining to Spain 5m DTM only. 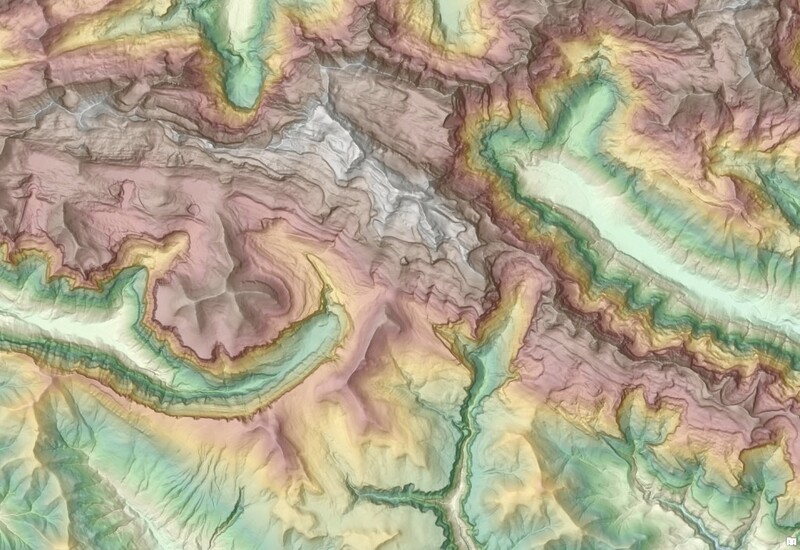 These global layers are available free of cost to every ArcGIS Organizational account user. These updates will also be rolled out to world elevation derivative products – Terrain 3D and World Hillshade. Stay tuned! You can explore the above unique landscapes of Spain using this story map. For more information about the coverage of the World Elevation services, view our Elevation coverage map. 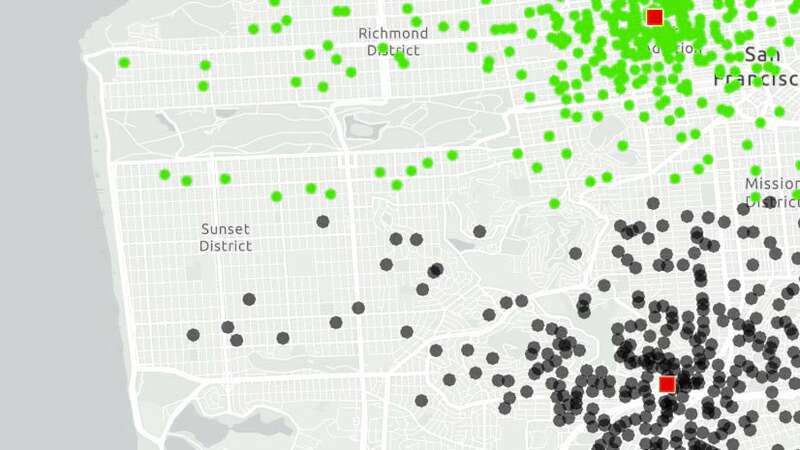 Additionally, to contribute high-resolution elevation data to Living Atlas of the World, check out the Esri Community Maps for Elevation program.